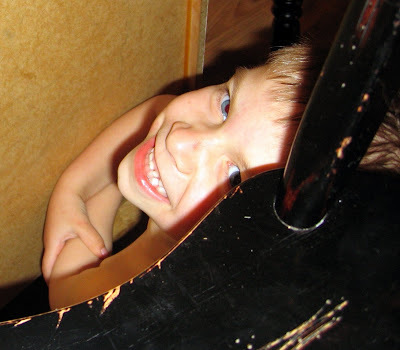 Hiding from Mike who had the camera out yesterday, here's Ethan crouched behind a kitchen stool. He was running around the house in his new PowerRanger boxer brief underwear. Such a show-off.